For over 40 years Andy has worked to give a voice to and defend the rights and freedoms of those facing prosecution or oppression. For over 40 years Andy has worked to give a voice to and defend the rights and freedoms of those facing prosecution or oppression. He is a libertarian socialist who believes in unfettered freedom of speech, expression and thought, and the right to protest. He believes it is necessary to challenge the increasingly censorious and illiberal state, which continually attacks our freedoms. In the field of criminal law, Andy has defended across the full range of offences. He has acted in all areas of serious crime including terrorist, gang related violence, sexual offences and drug conspiracies. Throughout his career Andy has specialised in politically motivated cases representing anti-fascists, environmental campaigners, animal rights activists and more recently anti-frackers and anti-tree felling protestors in Sheffield. Andy has acted as a leading junior in several high-profile conspiracy and murder trials. Andy has extensive expertise in all aspect of appeals, in particular miscarriages of justice and “fresh evidence” appeals. Andy is particularly interested in the plight of those with mental health difficulties, when they engage with the justice system. There is a profound lack of understanding about issues of capacity and those on the Asperger/Autistic Spectrum Disorder. Defendants in criminal proceedings with mental health difficulties do not get the support they need. Andy has worked closely with the National Autistic Society and has considerable experience and expertise in this area. Andy acts to help prisoners and patients detained under the Mental Health Act and represents prisoners at oral hearings of the Parole Board, patients at Mental Health Tribunals, and clients with issues of capacity in cases before the Court of Protection. Andy was part of a family team representing families at the recent inquest into the deaths of 96 football supporters in the Hillsborough tragedy. Andy has wide experience when there is a death whilst in the care of the state and when Article 2 of the ECHR is engaged. Issues of mental health are often relevant in cases of unexplained deaths and inappropriate or inadequate care for mentally ill people. Andy practices a full range of criminal defence work. He is committed to defend free speech, against censorship and to defend the right to protest against an increasingly authoritarian state. He has actively represented: anti-fascists activists, animal rights activists, environmental protesters, anti-war activists, anti-fracking activists and other civil liberties issue activists. He has also been involved, both as instructing solicitor and subsequently as junior counsel, in a number of high profile murder and conspiracy trials. His criminal practice includes appearances at the Court of Appeal in fresh evidence cases against conviction and appeals against sentence. Leading Junior in a major murder case involving organised criminal gangs in Manchester. 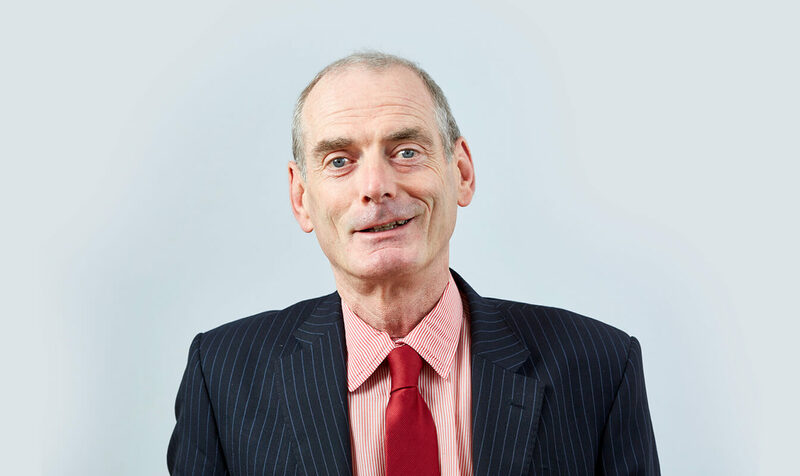 Andy is experienced in inquests and pre-inquest hearings for bereaved families, along with Article 2 inquests involving those whose death occurs in the care of the state. Andy was part of a family team representing families at the inquests into the deaths of 96 football supporters in the Hillsborough tragedy. This was the longest jury hearing in English legal history. The families long struggle for justice was rewarded with the findings of the jury, who recorded verdicts of unlawful killing and comprehensively nailed the vicious lie that the tragedy was caused or contributed to by the actions of the supporters. The team was led by Pete Weatherby QC, and also included Mark George QC and Kate Stone. Andy is helping to promote the “Hillsborough Law” as a fitting legacy for the families, who are determined that no future families have to go through their torment. Andy is instructed in all forms of prison law including representation at oral hearing, adjudication and lifer panel hearings. Andy is a fearless advocate for those struggling under a disability who do not have capacity to act on their own. Andy has worked in mental health law throughout his career, with particular experience in mental health and family law alongside his criminal practice. He has extensive experience of MHRT and regularly uses this knowledge of mental health law to good effect in related criminal proceedings where there is a possible MHA disposal. As a former solicitor he sat on the Law Society’s Child Care Panel and has experience of many cases where an understanding of mental health issues are of importance. Andy has experience of representing those with mental health difficulties and where capacity issues arise. Andy’s experience with mental health law and his previous work as a solicitor in child care and family proceedings gives him a helpful perspective for challenges in the Court of Protection. Andy has applied for judicial review in prison law, mental health law, inquests and Court of Protection cases. Formerly a member of the Child Care Panel for Solicitors. Andy’s Privacy Notice may be viewed by clicking here.